Theodore Dalrymple (Doctor and writer; 2013 Hippocrates Prize Judging Panel); Michael Hulse (Speaker and Chair; Writing Programme, Warwick):Roger Highfield (Director of External Affairs, Science Museum Group, London: 2013 Hippocrates Prize Judging Panel); Anne Hudson Jones (Speaker: Harris L Kempner Professor in Humanities in Medicine, University of Texas Medical Branch, Galveston); Andrew McMillan (Speaker: Liverpool); Hugues Marchal (Speaker: Professor of Modern and Contemporary Literature, Basel University, Switzerland); Femi Oyebode (Chair: Professor of Psychiatry, University of Birmingham); Jo Shapcott (Poet, Royal Holloway College, London; 2013 Hippocrates Prize Judging Panel); Donald Singer (Speaker and Chair; Warwick Medical School). Rod Flower FRS (2012 Hippocrates Prize Judging Panel), Dean Gianakos (Lynchburg, Virginia, USA), Sorcha Gunne (Warwick), Marilyn Hacker (Poet and Critic, New York & Paris; 2012 Hippocrates Prize Judging Panel), Michael Hulse (Writing Programme, Warwick), Edward Picot (Kent), Robert Randolph (Carmichaels, Pennsylvania, USA), Jo Shapcott (Poet, Royal Holloway College, London), Donald Singer (Warwick Medical School), Eleni Theocharous MEP (Poet and Paediatric Surgeon, Cyprus), John Riddington Young (William Harvey in poetry - ENT Surgeon, West Barton, Bideford). Sharing the journey: rediscovering a lost sense of self with poetry making. The 2012 International Symposium on Poetry and Medicine is supported by the Fellowship of Postgraduate Medicine. To express interest in supporting the 2012 Symposium, contact the Symposium organizers. Steve Field CBE ((2011 Hippocrates Prize Judging Panel, Chairman of Council, Royal College of General Practitioners, London), Sandy Goldbeck-Wood (Cambridge), Sorcha Gunne (HIV/AIDS and poetry, Warwick), Marilyn Hacker (Poet and Critic, New York & Paris), Fiona Hamilton (Chair, Lapidus), Michael Hulse (Writing Programme, Warwick), Mark Lawson ((2011 Hippocrates Prize Judging Panel - Broadcaster and Writer, Northampton) Gwyneth Lewis (2011 Hippocrates Prize Judging Panel - Former Welsh National Poet, Cardiff), Renee Liang (New Zealand), Timothy Metcalfe (Australia), Simon Opher (Poetry and Dementia - Dursley), Femi Oyebode (Psychiatry and Poetry, University of Birmingham), Donald Singer (Warwick Medical School), Sue Spencer (Poetry in Nurse Education - Newcastle), Kelley Swain (London), John Riddington Young (Syphilis in poetry - ENT Surgeon, West Barton, Bideford). The 2010 International Poetry and Medicine Symposium was supported by the Warwick Institute of Advanced Study, the Fellowship of Postgraduate Medicine and a Medical Humanities award from the Wellcome Trust. Short-listing for the 2010 Hippocrates Prize awards took place in London 10th March 2010. Short-listed and the top 20 commended entries in the NHS-related and Open categories were announced on the Hippocrates Proze Website on Thursday 18th March 2010. The 2010 Hippocrates Prize awards were announced at the end of the above Symposium on Poetry and Medicine on Saturday 10th April 2010. There was a �15,000 award fund for the 2010 Hippocrates Prize, given in an ‘open’ category which anyone could enter and in an ‘NHS’ category open to National Health Service employees and health students. The first prize for the winning poem in each category was �5,000. 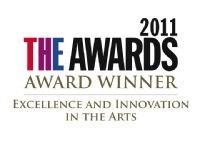 The 2010 Hippocrates Prize was organised by a joint team from the University of Warwick’s Department of English and Comparative Literary Studies and the University’s Medical School. Medicine and Poetry. EP Scarlett. CAMJ. 1937;36:73–79.